A beloved Virginia business owner was shot and killed when he went to make a business transaction Sunday, according to state police. 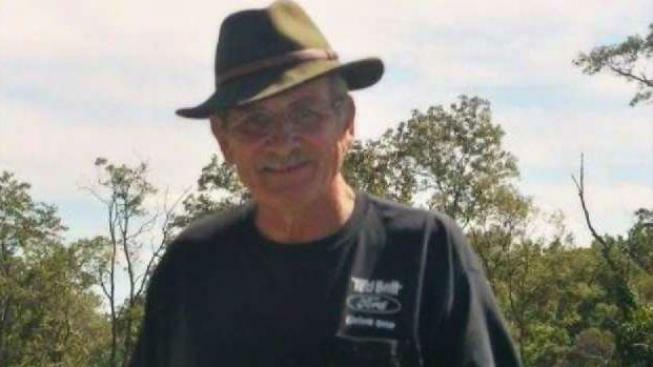 Jeffrey B. Evans, 72, of Bluemont drove to a gravel lot just off Route 7 in Clarke County near the Shenandoah River and the Loudoun County line about 11:15 a.m. Sunday. Witnesses say they saw a man standing near his pickup truck. Minutes later, police say, Evans had been shot in the head and chest. After he was shot, Evans drove his pickup truck across Route 7 into an embankment, police said. Witnesses said a man ran across the four lanes of Route 7 to the truck, but when police arrived, he was gone, and Evans was dead. Friends Melissa Reddy and Susan Carter stopped by the scene Tuesday to pay respects. She and Carter first met Evans as clients of his auto service shop in Aldie, but they soon became friends. Anyone with information about case or who may have seen another vehicle in the gravel parking or on Route 7 should contact Virginia State Police at 540-829-7400, 1-800-572-2260 or questions@vsp.virginia.gov.